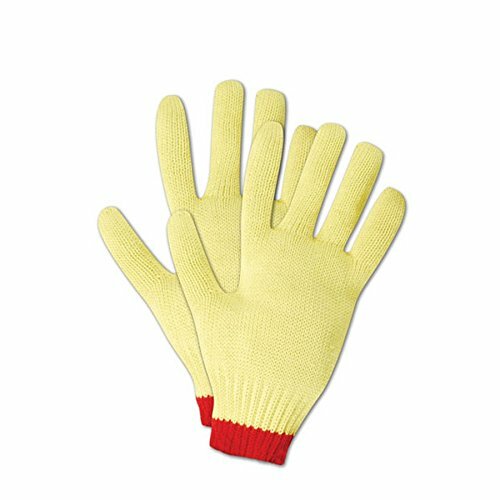 A 100% Kevlar seamless machine knit glove, the CutMaster C590KVT provides excellent cut-resistant hand protection. Kevlar fiber is five times stronger than steel and gives this glove superior ANSI cut Level 3 protection. The wide colored band at the wrist makes for easy sorting after laundry and provides excellent visibility during compliance checks. This glove also features a sewn-on reinforced thumb crotch for added durability in that high-wear area. The C590KVT Kevlar glove is a strong, cut-resistant extra heavy-weight glove that excels in any industry.